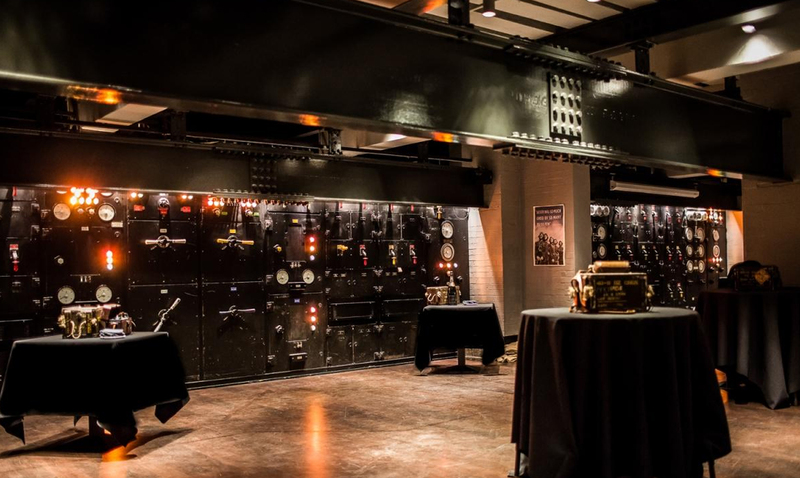 Whether you are planning a large team building event, an annual conference or exceptional Christmas party the Churchill War Rooms offers great versatility, allowing you to create an occasion that is truly unique. Give your guests the event of a lifetime at Churchill War Rooms, hidden beneath the iconic buildings of Westminster. Rich in history, this incredible venue is the very site where Prime Minister Winston Churchill and his Cabinet led Britain to victory during the Second World War. What could be a more appropriate place for planning strategies or dealing with company business that in one of the UK’s most historic venues? Each room has been restored to look just as it did during the Second World War. Walk the same corridors as Churchill, peer into the room where his War Cabinet made their momentous decisions, and marvel at the complexity of the abandoned Map Rooms, frozen in time since 1945. Our “The Killing” experience can be tailored to this stunning venue, complete with Churchill themes and clues, a truly one-of-a-kind London experience, perfect for team building and corporate hospitality events. Private tours at Churchill War Rooms can be arranged to compliment your event. Located in the heart of Westminster and next door to the Royal Horse Guards, Churchill War Rooms is handily placed with excellent links to underground and over ground stations. The venue is also very close to Westminster Pier, allowing access by boat.